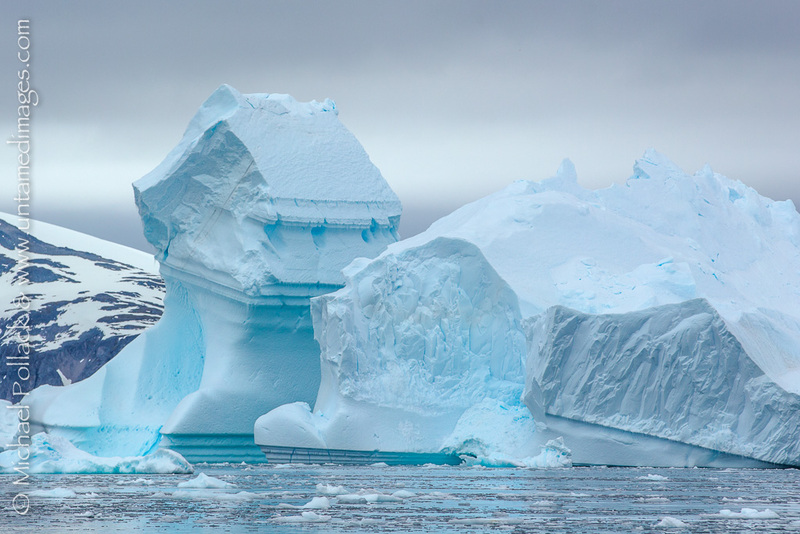 On my recent trip to the Antarctic Peninsula the wildlife (including seven species of penguins) were captivating, but the ice, in its endless variety, made a strong bid to steal the show. 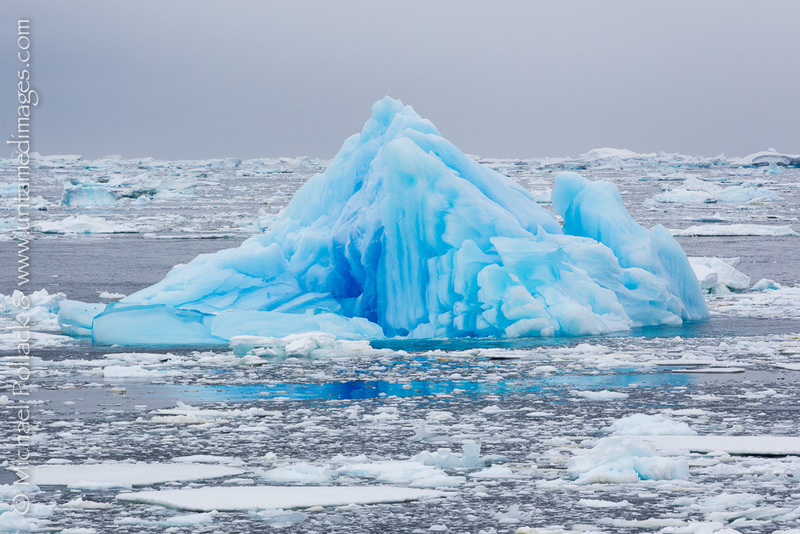 From smallish deep-blue icebergs in a sea of white, to miles-long tabular icebergs, the ice was more than just mesmerizing, it was downright otherworldly. The following images are but a small sample of the icy scenery I was privileged to observe and photograph. Remember, you may click on any of the images to see a high resolution version of it. 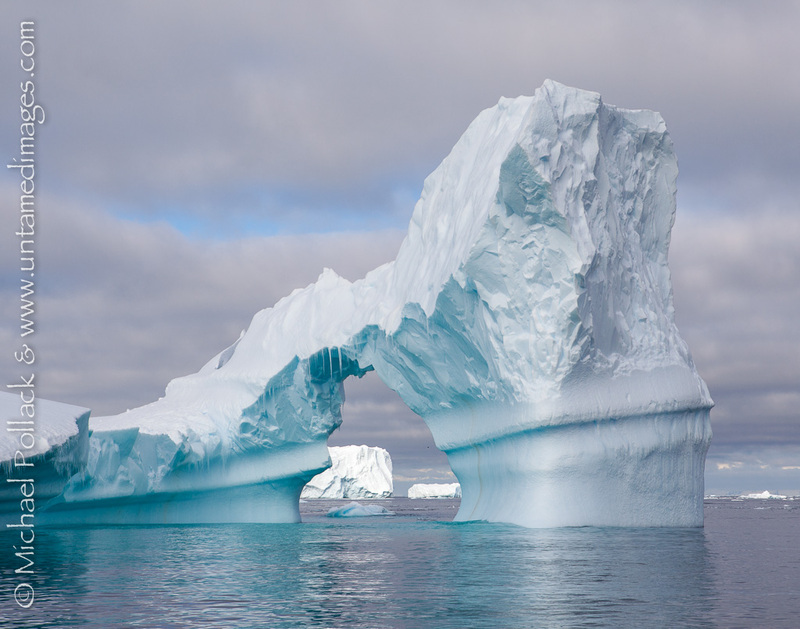 A large iceberg with a delicate arch towers over the water near Cierva Cove on the Antarctic Peninsula. The ice found along the Antarctica Peninsula, with its near-infinite range of textures, shapes, and aqua hues, provides ample opportunities for abstract photographs. A large iceberg having run aground, reveals shapes that would do a modern sculptor proud. 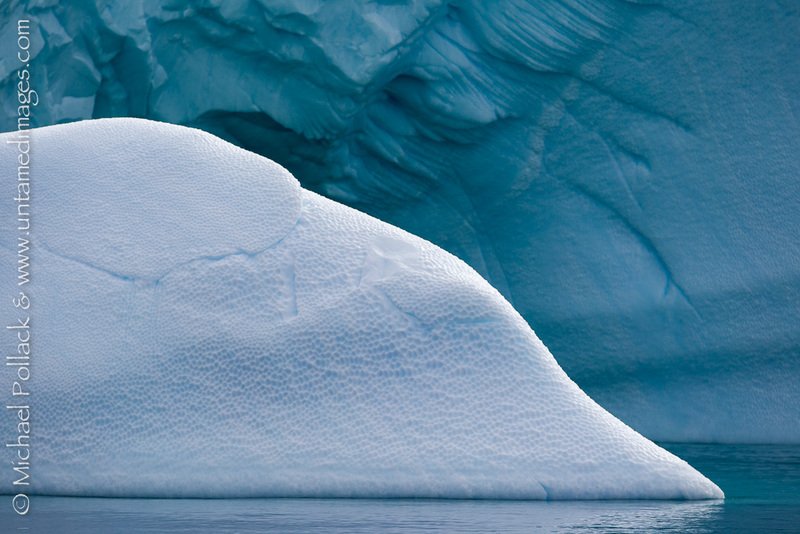 A deep blue iceberg surrounded by sea ice resembles a giant-sized jewel. A large, angular iceberg floats off the coast of South Georgia Island as a strong storm descends. I created this image from the starboard side deck of the M/V Ortelius as the ship rounded the southern tip of South Georgia Island into the teeth of a furious storm. When I brought the camera up to my eye, I had to steady myself against the lifeboat support structure to counteract the gusty winds that threatened to tear off my glasses and whisk away my beanie. Rarely, if ever, had I felt the power of such strong winds, but the scene unfolding before me was far too stunning to abandon in favor of shelter. 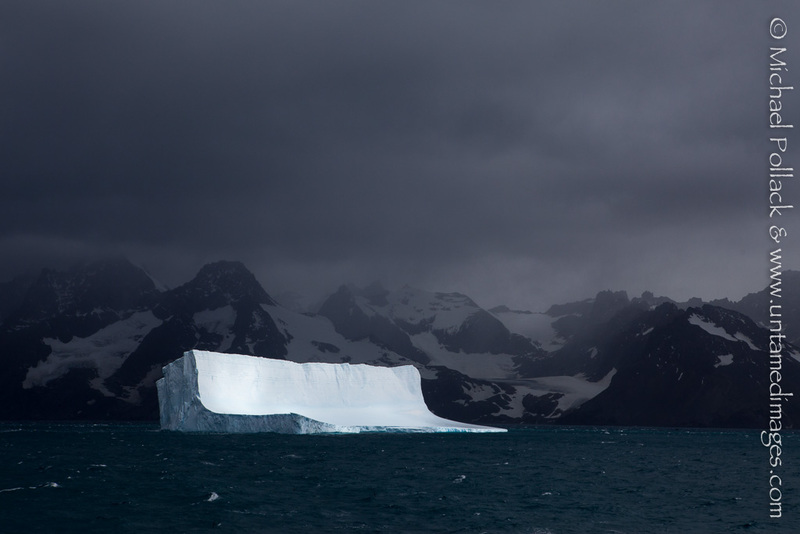 A narrow beam of light had found a gap in the clouds to illuminate the iceberg while the rugged shoreline stood in the background and shockingly dark skies loomed above. I seized upon that moment to capture the photograph featured here.